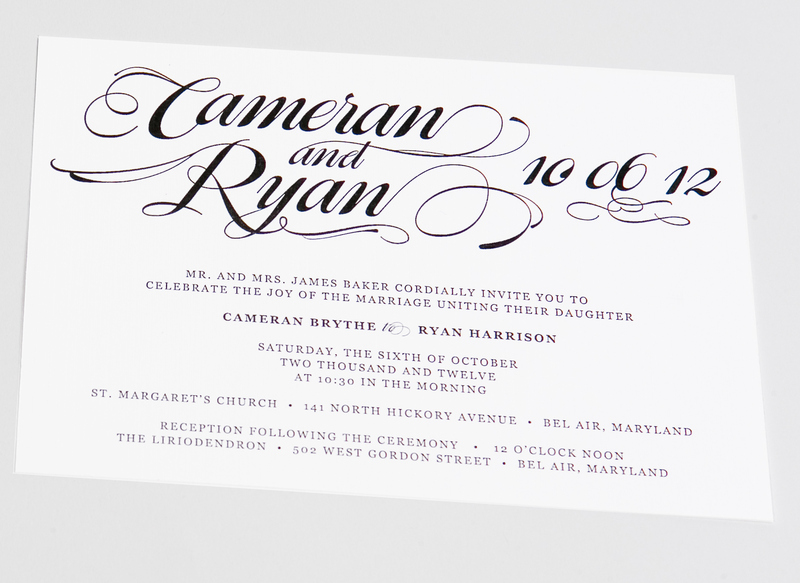 Invitation for Cameran and Ryan. 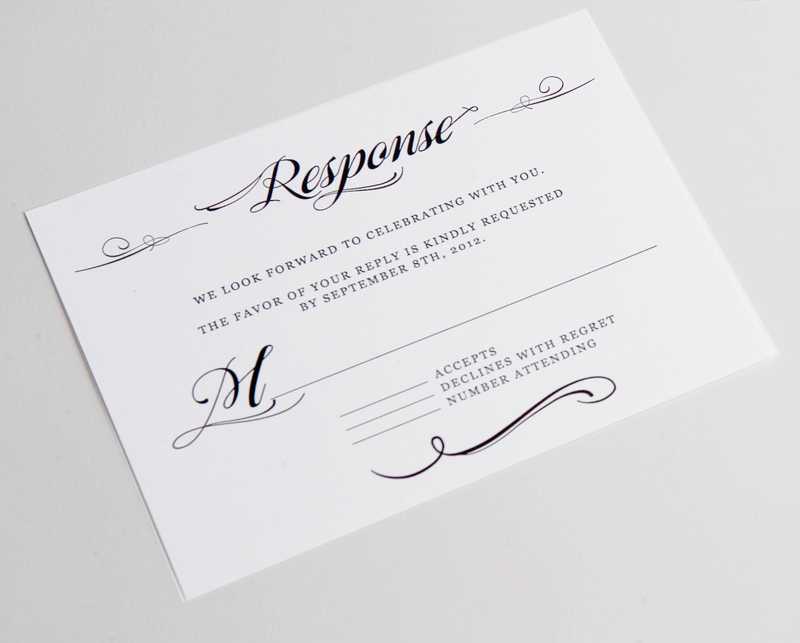 The bride wanted a style that blended a classic style with a florish. 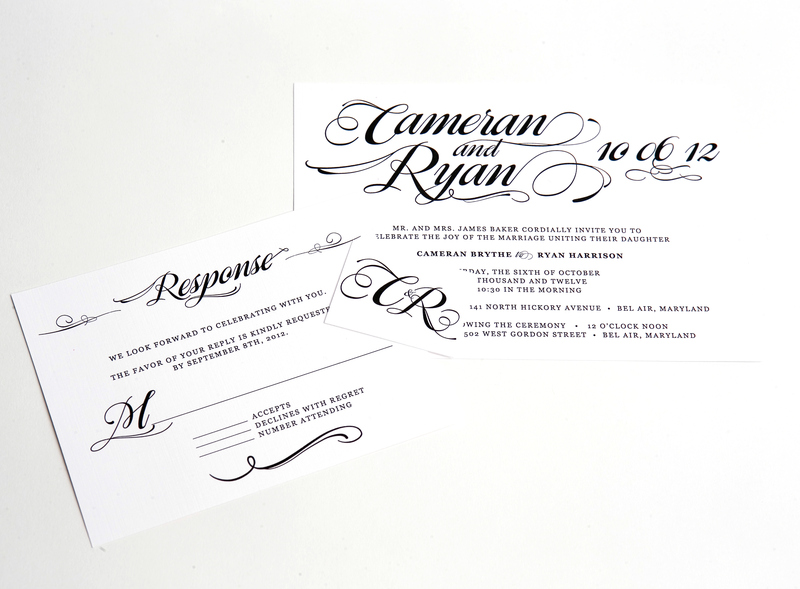 Printed on linen paper, the Invitation and response card was wrapped in black ribbon with the initial card at the front.